Ever wondered what souvenirs our travel photographers take home from their travels? On a recent trip to Spain Dale, one of our photographers decided he didn’t need another coffee mug or a t-shirt. 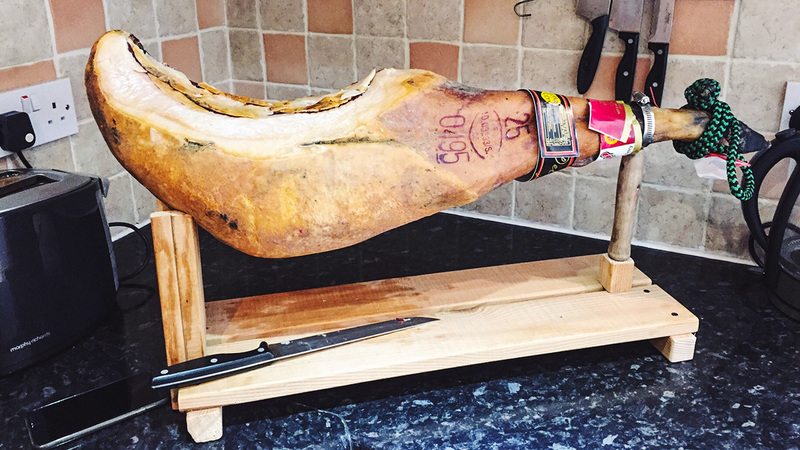 What he really needed was a Jamon Iberico de Bellota – a whole ham. I was so taken with the ham everywhere I went that I decided I really wanted to buy one. A local contact there, who was assisting with the shoot, helped me find a place that was running a special on the amazing Jamon Iberico de Bellota – arguably the best ham in the world. 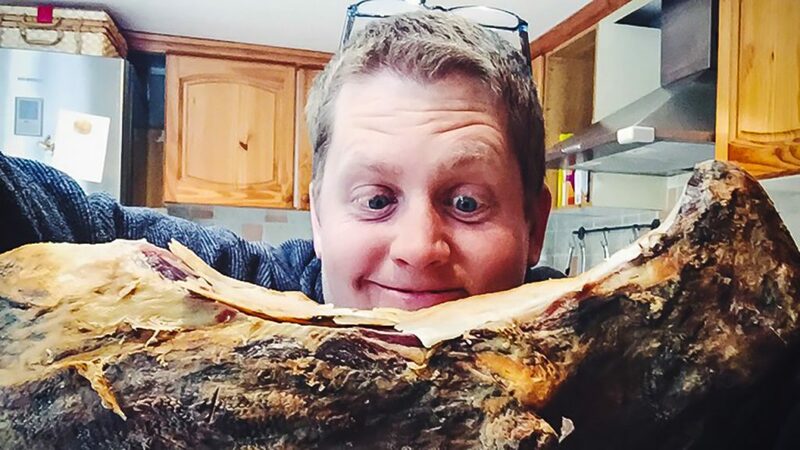 I couldn’t justify paying £250 for a ham so via Facebook I roped in some mates to share the cost of it. I got an overwhelming response and within 24hrs more than half of the cost was covered so I bought it!! It’s nearly 8.5kg so I had to build a stand for it just to be able to carve it. And learning to carve it is a whole other set of skills I’m yet to develop. And if you’re wondering…It’s crazy delicious!! !